Distinguishing Characteristics: White female. Light brown hair, brown eyes. Reachelle's nickname is Peanut. Medical Conditions: Reachelle suffers from asthma and may be in need of medical attention. On May 22, Cowen apparently stole Stephanie's teal 1995 Ford van with North Dakota license plates numbered HAY 548 and disappeared. Stephanie called his mother at this time and discovered that Cowen's mother did not have Reachelle and had no idea where the child was. 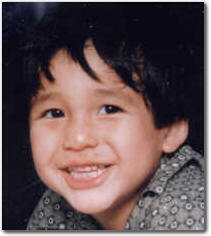 Stephanie reported her niece as a missing child at this time, and Cowen became the prime suspect in her disappearance. It was thought that he may have taken Reachelle to Kansas where his family lives, but this theory was disproven when the stolen van was located in the Upper Souris National Wildlife Refuge on May 23. 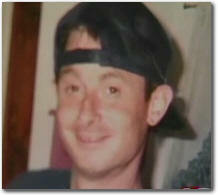 Cowen's body was inside; he had committed suicide by carbon monoxide poisoning. An extensive search of the area turned up no sign of Reachelle. Investigators are uncertain what happened to Reachelle, but they do not believe she is still alive. Cowen is still considered the prime and only suspect in her disappearance. She is missing under suspicious circumstances and her case opened 2018 by Psychic Brian Ladd.